Three different studio flash units have been released by Shenzhen-based manufacturer CononMark. The G4.0, GID50 and GE400 monolights add to the "3G Wireless" series of remote-controllable monolights. Three different studio flash units have been released by Shenzhen-based manufacturer CononMark. The G4.0, GID50 and GE400 monolights add to the “3G Wireless” series of remote-controllable monolights. 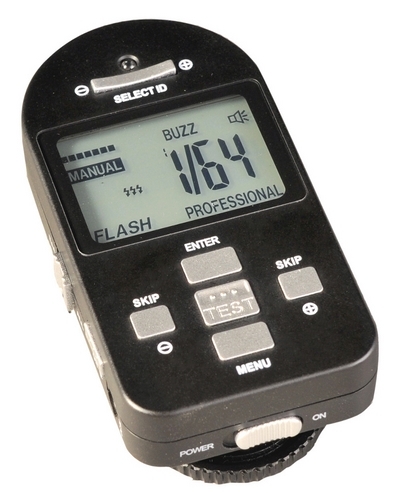 The defining feature of the system is the CononMk 3G trigger, a 3GHz wireless controller which may be handheld or camera mounted and allows adjustment of all flash settings from a distance. Since it mounts on the camera it also functions as a wireless flash trigger. The test button may be used for metering. Effectively a remote-controllable version of the popular CononMk DL 4.0, the G4.0 is a Comet bayonet battery-powered monolight with IGBT circuitry. 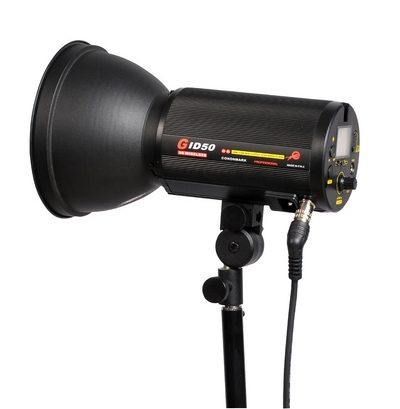 At full power, the specified flash duration is 1/3200 second, dropping to 1/8600 at minimum power and 1/13000 in stroboscopic mode. Perfect for freezing action! Without remote control, it’s known in different countries as the Impact Lite Trek, Strobeam DL4, Phottix PPL-400 or Photoflex TritonFlash. Very similar to the G4.0, the GID50 can be powered by either a battery or the mains. IGBT control provides quick flash durations at low power settings. It can be turned down to 1/128 of full power. Recycle times are slightly quicker when powered from the mains than from the battery. The odd one out in our line-up, the GE400 can’t be battery-powered and doesn’t have IGBT control. Nonetheless, the Bowens S bayonet is much easier to find accessories for, and the device has a cooling fan to keep the light going longer during intensive shoots. The claimed flash duration is 1/1900 second (t 0.5). Another advantage is that a two head GE400 kit is cheaper than a single G4.0 or GID50. On eBay, a two head kit is a comparable price to the Hobo Merlin (see below). Dzone2, based in Hong Kong, sell the G4.0 for US$685 (£425), the GID50 for $699 (£445) and a 2-head GE400 kit for $599 (£369). Click here for the listings. Green Life, also based in Hong Kong, list the G4.0 at $670 (£425). 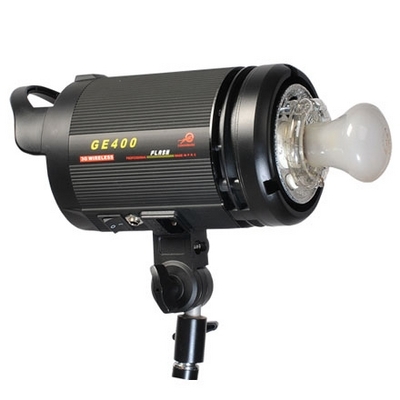 Dragon Image of Australia sell the GE400 under the FlashPro brand for A$360 including GST.